With new additions to Spring and Summer lines rolling out nearly every day, it looks like we’re going to be making some serious additions to our wardrobes in the coming months. Recently, another wave of warm weather goods hit the Canvas Lands’ End racks, and there were certainly a few pieces that caught our attention. 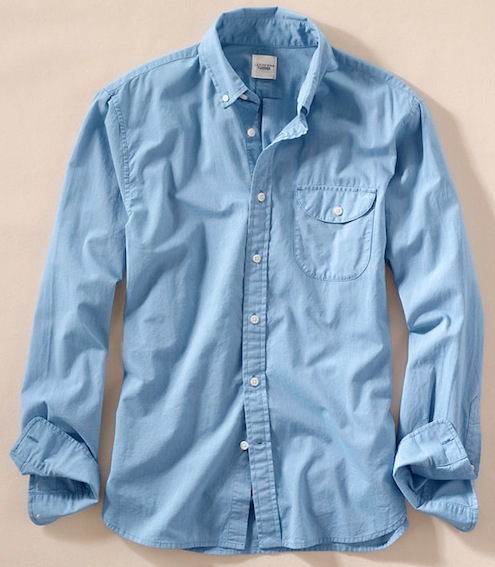 At the top of the list is their Lightweight Chambray Shirt. For the last couple of months, we’ve longed for a day when it would be appropriate to break out our boatshoes. Sure, there have been a couple of days that we went sans socks, but going all out with the boatshoes would have been a bit much. 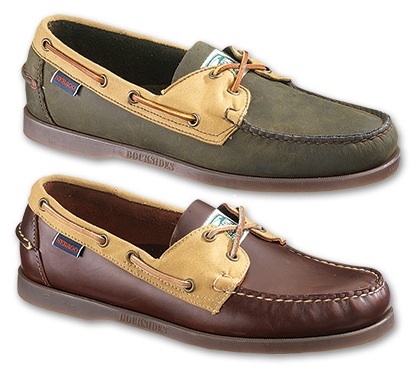 That being said, had we had a pair of the Spinnaker Boatshoes that Sebago and Filson came together to create in our rotation we may have been singing a different tune. 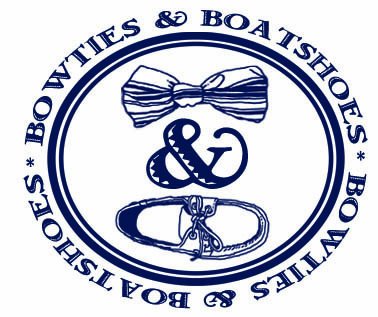 It’s official, Spring fever is at an all time high here at Bowties & Boatshoes. We’re ready for baseball games to count, we’re ready to roll the windows down, we’re ready to put away the heavy coats, and we’re ready to make some warm weather additions to our wardrobe. 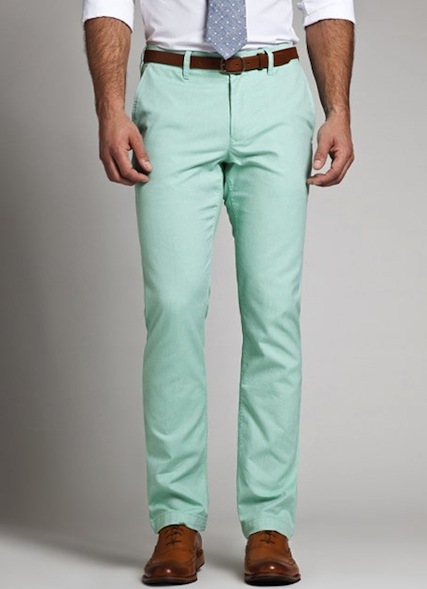 It’s a foregone conclusion that a pair or two of Oxleys from Bonobos will be in the rotation in the coming months, the decision we need to make is which colors make the cut. As easy as it is to keep a few belts in rotation that you know will match just about everything in your closet and wear them over and over, we’re not big fans of that train of thought. Sure, it might be easy, but small touches make a huge difference and the right belt and buckle can be that final touch that turns something from good to great. 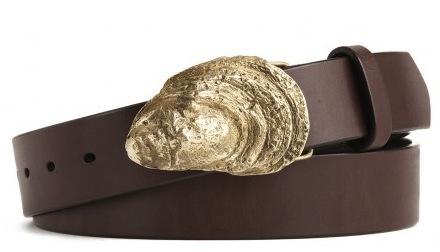 One of our favorite buckles out there is the Oyster Shell from Sir Jack’s, and today we’re happy to announce that one lucky Bowties & Boatshoes reader is going to be adding that buckle, along with a fantastic belt to their collection. The weatherman tells us that our weekend is going to be filled with chilly temperatures and occasional precipitation. 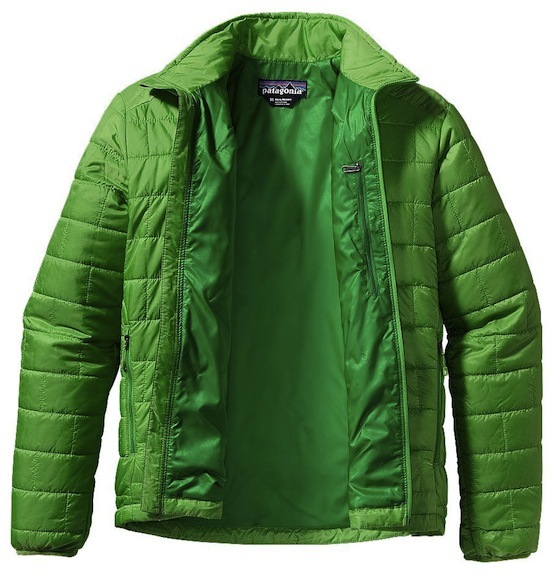 With a to do list that’s going to have us running around a bit, having a jacket to keep us warm and dry is a must, so we’ll be turning back to the Nano Puff Jacket from Patagonia. The post below originally ran on February 2, 2011. The fact that Bowtie Friday has become a staple in many men’s weekly routines is something that we absolutely love. That being said, sometimes you have to scale things back for a day of running around and a bowtie just isn’t going to work. 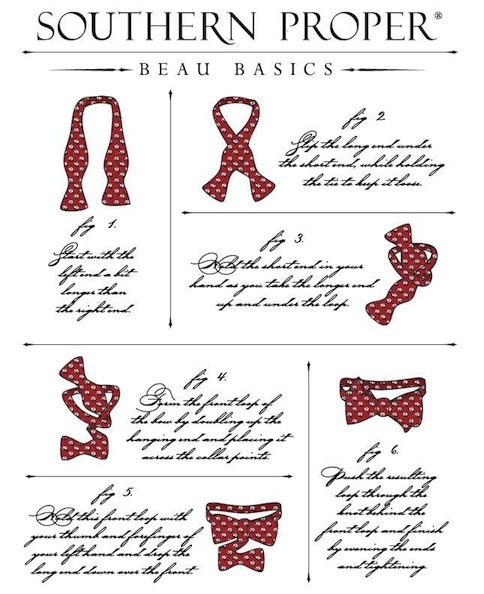 When a day calls for something far more low key than normal, yet you still want to participate in Bowtie Friday, the Southern Proper How to Tie a Beau Tee is the perfect pick. 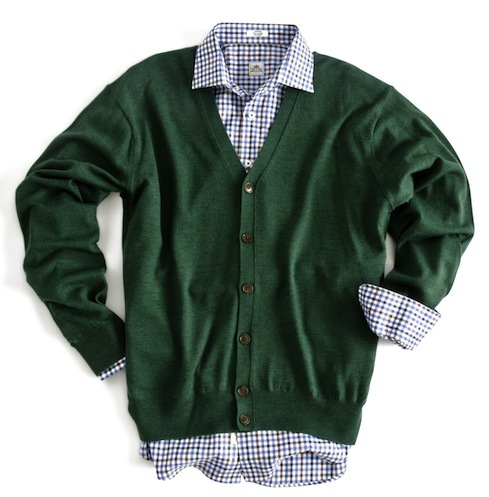 Just like bowties, we think cardigans get pigeonholed into the category of “old man wear” far too often. Sure, they may be more commonly seen on those that are a few generations ahead of us, but we think a solid cardigan is a great addition to any wardrobe regardless of how old you are. One of our favorite cardigans is the Merino Wool version from our friends at Peter Millar. Our wardrobes always seem to be evolving, and over the past couple of years we’ve worked in far more button down shirts than ever before. We’re always hunting for something a bit different than what’s currently in the rotation, and it never ceases to amaze us just how many good looking shirts are out there. On a recent visit to J. 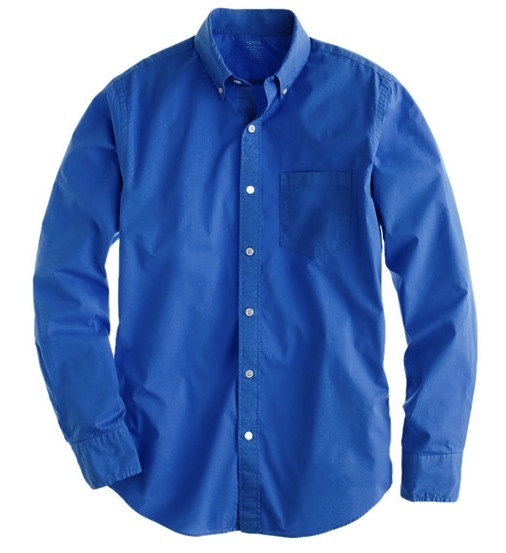 Crew, we came across their Secret Wash Garment-Dyed Shirts. It’s no secret that we love the classics. Crisp khakis, white OCBDs, navy blazers, and brown loafers will always be in heavy rotation for us, but every once in a while we have to change it up. Luckily for us, many of the brands who make our favorite classics also offer some non-traditional versions of their staple pieces. One such brand is G.H. 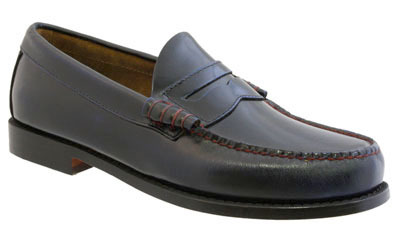 Bass & Co. and their Navy Weejuns are calling our name. 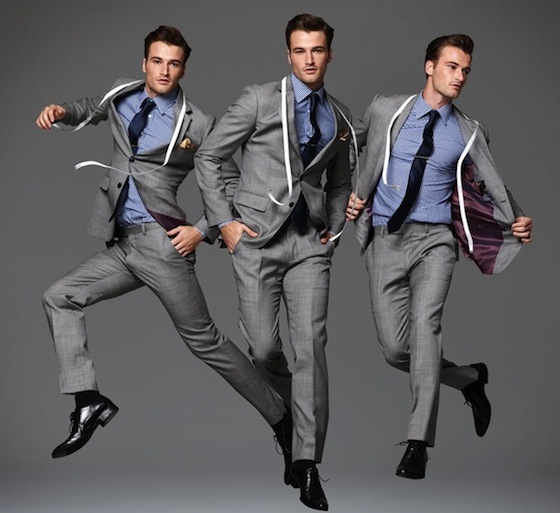 Almost a year ago to the day, we placed our first order with Indochino. A few weeks later an Essential Grey suit was on our doorstep and we were hooked. Whether you are a frequent Indochino customer, or if you’re considering taking the plunge for the first time, we’d highly recommend visiting one of their Traveling Tailor pop ups if you have the chance. In honor of Indochino’s upcoming Traveling Tailor event just down the road from us in DC*, we’re pleased to announce that one lucky Bowties & Boatshoes reader will soon be the proud owner of a custom Indochino Essential Suit.